to make TV commercials, as a creative art director in advertising. Immediately, I fell in love with the city streets and the art covering its walls. Instead of frequenting galleries and museums, I walked the streets for hours in search of art. After 9 years of photographing street art, I decided it was my time. I had done my research and I had some ideas. My only goal was to connect with people, stop them in their tracks and make them smile. 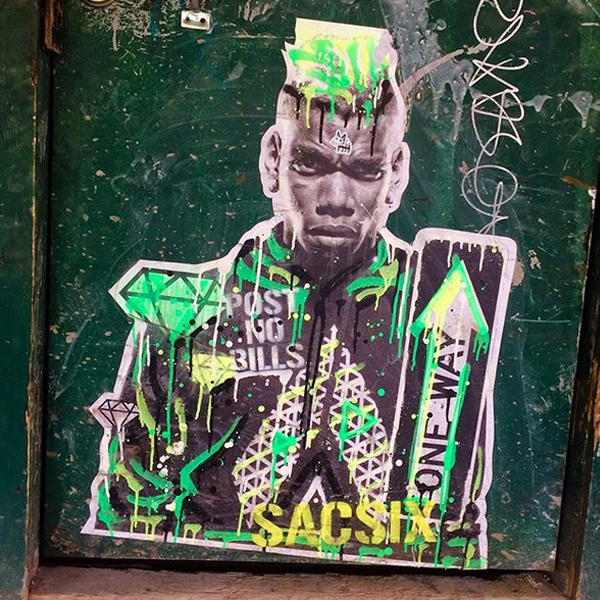 In December 2015, I put up my first wheat paste and it changed my life forever. 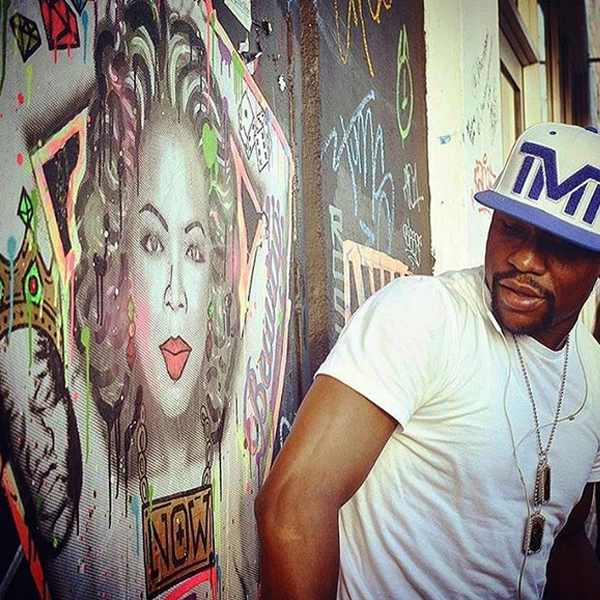 I have since worked with MTV, Adidas, Four Loko, the Grammy's and was named by Art Net as 1 of 10 global street artists to keep an eye on. 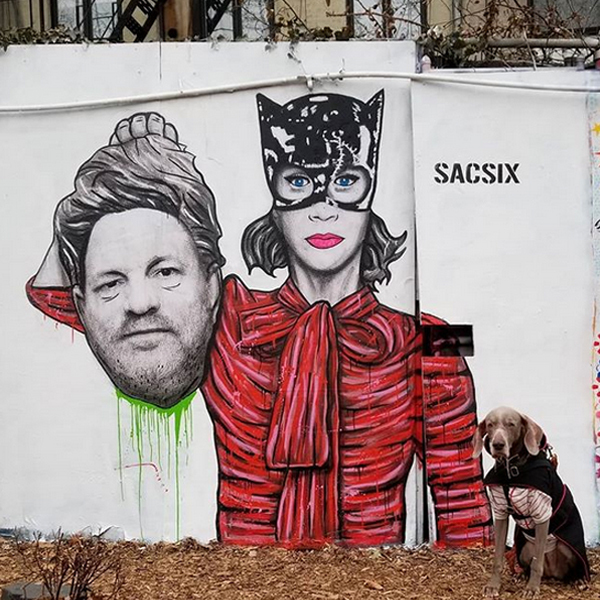 My #SidewalksAndIcons street series has been photographed by Paris Hilton, Floyd Mayweather, Abbi Jacobson, Coco Rocha, Brooklyn rappers Kirk Knight and Flatbush Zombies. Spike Lee also featured King Biggie Jaffe Joffer and #MrPoop in a commercial for the The 60th Grammy Awards and also for his Netflix show, She's Gotta Have It. Some legal. Some not so. 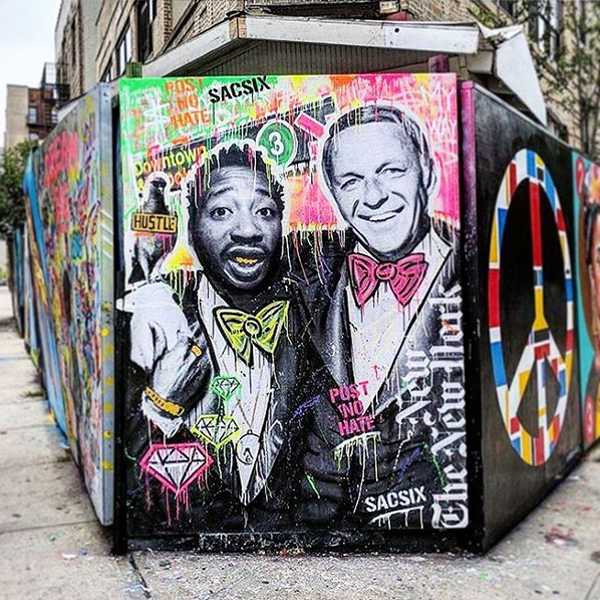 Below are some of the many pieces from the #SidewalksAndIcons series, that have found their way onto the street. 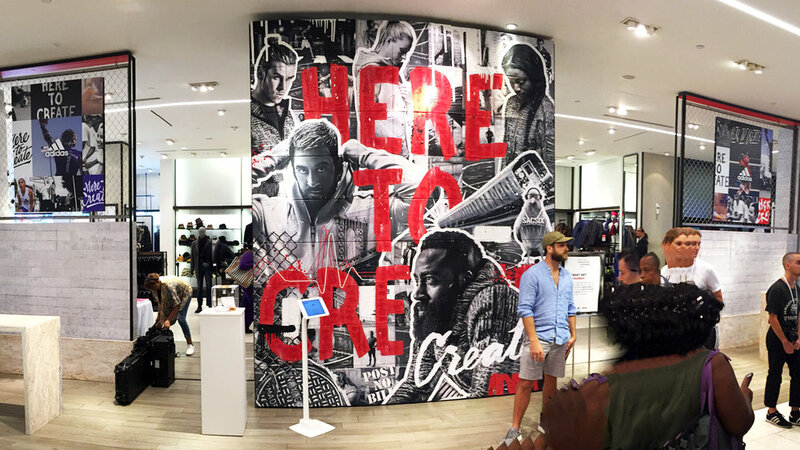 In the summer of 2017 I was contacted by Adidas to help launch their new global store design, at the iconic Macy's shopping store. Adidas wanted to create a connection between sport, street culture and NYC. 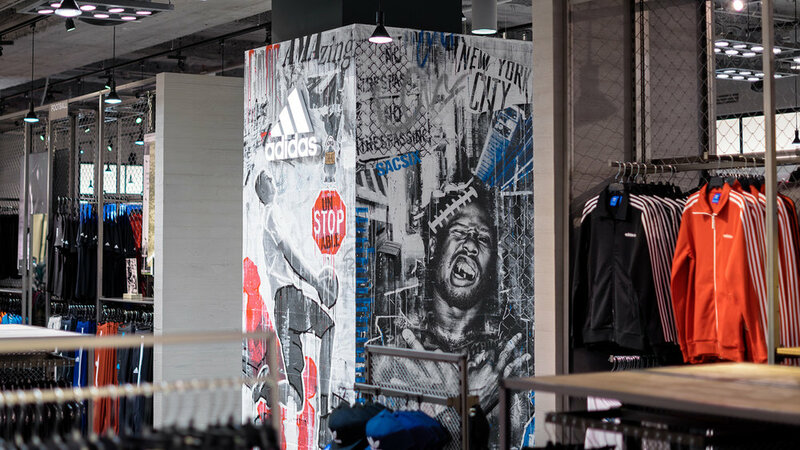 I created the centerpiece column murals for 3 of Adidas athletes Von Miller, Paul Pogba and Kristaps Porziņģis. 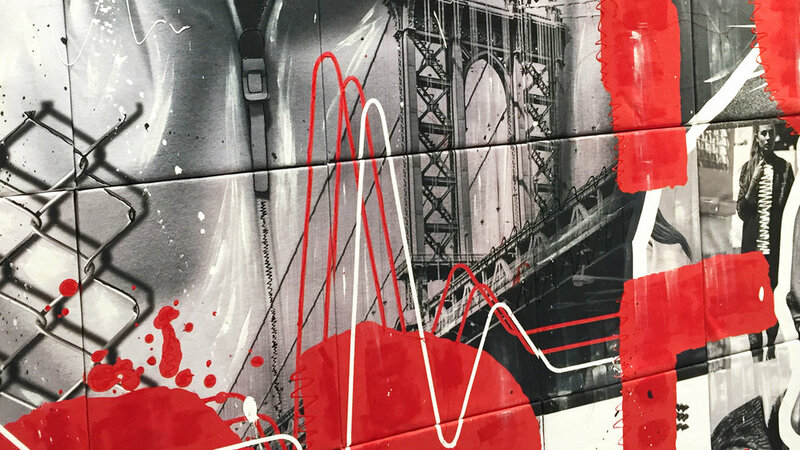 The murals are now a permanent installation in Macy's. I also wrote and co-directed this promotional manifesto video. After the success of the Macy's mural installation, Adidas created another pop-up space, to launch the opening of the Adidas Creators Lounge. I created a mural wall, constructed using a grid made from 81 unique, hand-embellished t-shirts. I was also commissioned to make 9 pairs of the first ever, wheat-pasted Adidas Superstar sneakers. 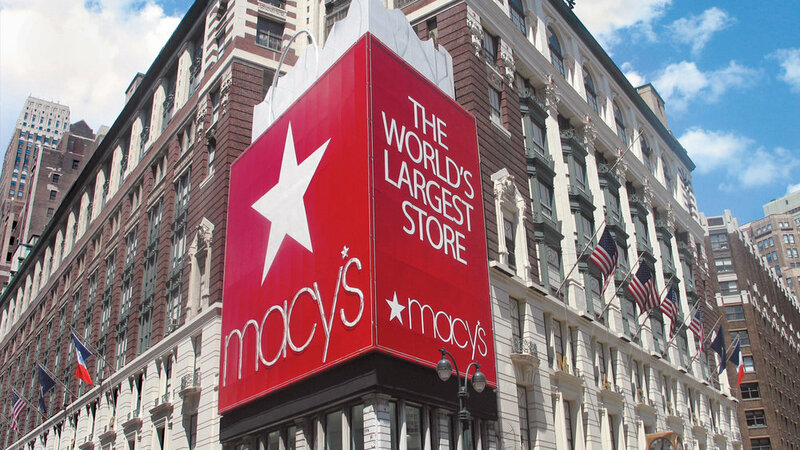 During the event, Macy's shoppers entered a raffle to win one of the 81 t-shirts and 9 sneakers.